Do you ever wonder if people intentionally let themselves drift into stereotypes because they’re comfortable with the definitions? How often do they pick up hobbies or find themselves watching shows that they think they’re supposed to like? I suspect everyone does this at one point or another because we all like to belong to something, but I’ve noticed a weird trend in myself as I get older. My likes are all over the place now. I still love music and reading. I still love cats. I still love tripey TV shows and movies (here’s lookin’ at you, Elvira). But video games have fallen off my radar to be replaced strange new habits I never really thought I’d develop. This new stuff is great. However, what strikes me lately is how wildly different my hobbies have become. It all seems to fall into two categories: Little Old Lady and Fitness Beast. Seriously, when did this happen? And why is it so fun? Gardening. I love to plant flowers, grow food, and feed the legion of tiny birds that now inhabit our yard. 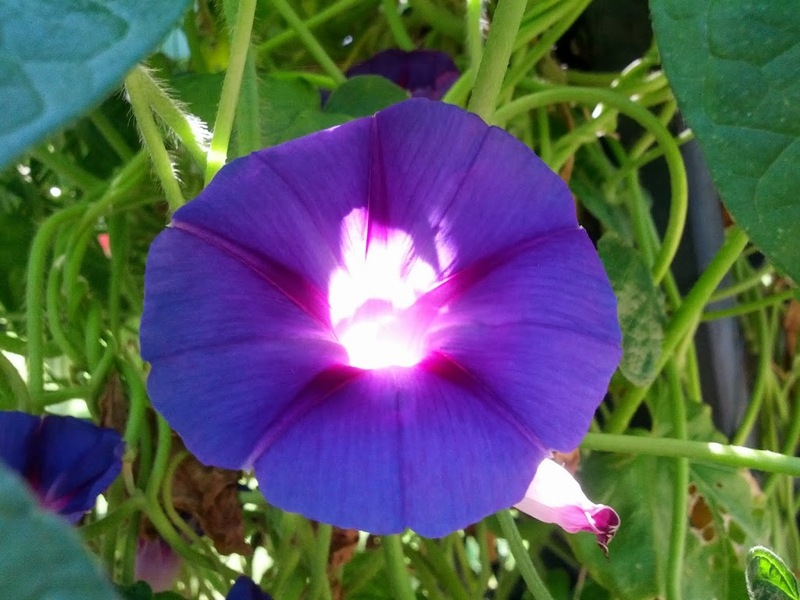 Cardinals and finches are my new mascots, and my morning glories are freaking glorious. Oklahoma Gardening is one of my favorite shows now. Tending to my plants and the neighborhood cheepers brings me peace likes nothing else does. It just makes me happy. You should see my gardening gloves. They are lavender, for feet’s sake! Cooking. Over the past couple of years, I’ve learned to cook and have really come to enjoy it. I’ve always loved to bake, but branching out into foods that won’t put you into a sugar coma has been rewarding. I wrote about this when it started and am glad to say it’s still going strong. Thanks to cooking shows and Allrecipes.com, our menu has become much more varied than it was in the distant Hamburger Helper Era. It’s actually fun now! Homing. As in, home improving. Yes, I know that’s not what homing means, but I like consistent headings, so nyah. One of my other new favorite shows is This Old House. Watching it and planning for the things we’ll do to our own home when we buy one is fun to the point of making it a hobby. I even get This Old House Magazine! And read it! What?! And now for something completely different (not The Larch). Getting fit makes me feel like a total beast. I *love* it. Strength Training. The gym started out as a means to an end (weight loss/health), and I am still very dedicated to that goal. But the feeling of power when I picked up the first iron plate and started lifting has grown exponentially every session. It has become a part of my weekly routine and I have no intention of ever stopping. The benefits are just too awesome, which leads me to the next beast thing. Endurance Training. This part has been slow to start because of the aforementioned lardery, but the progress is so gratifying. I’ve begun running in intervals, increasing the time and number of sprints every week, and have been amping up the distance/speeds in the bike rides as well. My heart rate during burns has vastly improved. Thanks to this training, I’ll be more able to survive the zombie apocalypse (because cardio)! Bonus! You see what I mean, though? These two categories are what most of my free time is split into now. I’m always researching when I get a bit of downtime, and it’s either about gardening/cooking/home stuff or fitness. Sesame Street called and sang “one of these things is not like the other” to me. This stuff shouldn’t really go together. But for me, it does, and I embrace the weirdness. Now if you’ll excuse me, I have to go do bicep curls while watching Antiques Roadshow.